The KePlus RT10 from KEBA's new evo series is a reliable ATM specially designed for outdoor use. 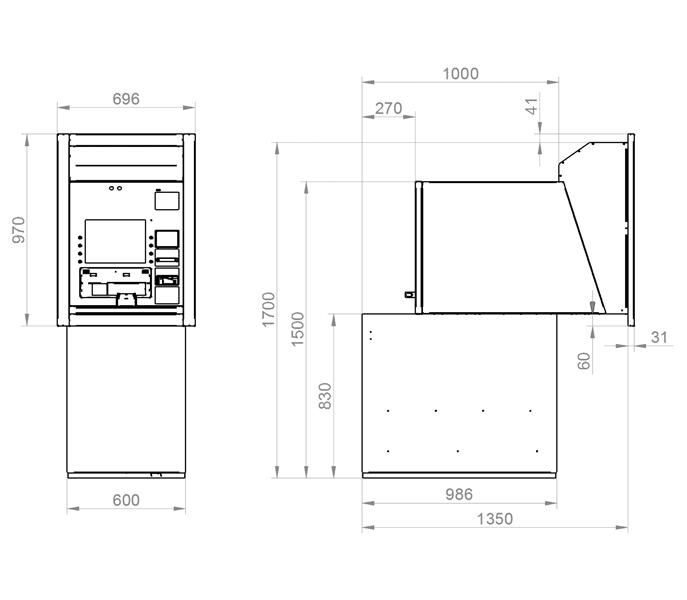 It combines the latest cash recycling technology with a modern interaction concept and design. 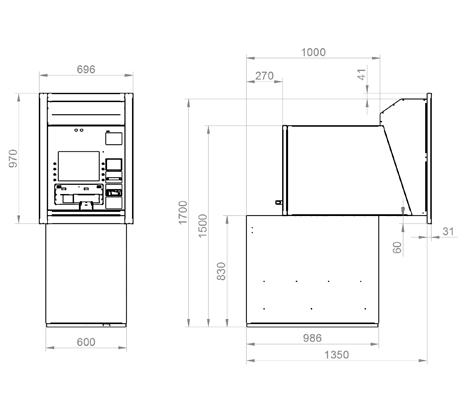 In addition, the KePlus RT10 integrates an optional coin withdrawal, thereby allowing more functions to be housed in a compact footprint. Thanks to the new cash-recycling module with an optimized cash slot and intelligent features such as the optimized note transport routes, KePlus RT10 sets new standards in the automation of your bank services. The SmartSurface makes intuitive operation possible for all user groups. It is an innovative user interface made of vandal-proof glass with large-area action lighting and multitouch display which enables tablet-like operation. The high brightness display enables perfect visibility at all times, even with direct sun light. Owing to an ingenious mechanical composition, the KePlus RT10 is ideal for outdoor locations and can brave even low temperatures (up to -30°C) thanks to integrated, optional heating. We will be happy to offer you the opportunity of a trial period so that you can see the uniqueness of the evo series products in real-time operation for yourself. Simply contact us for more information!